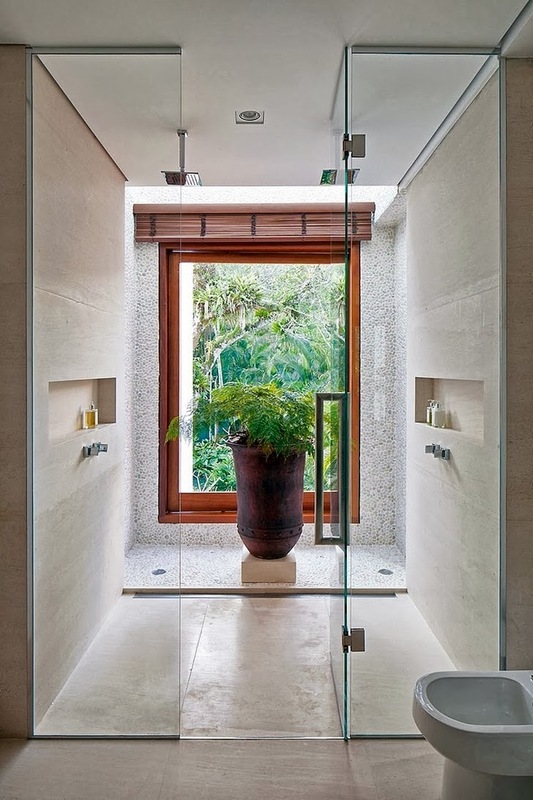 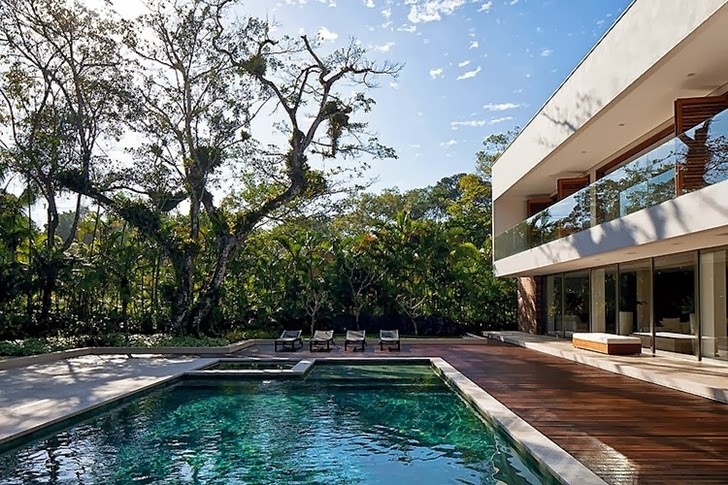 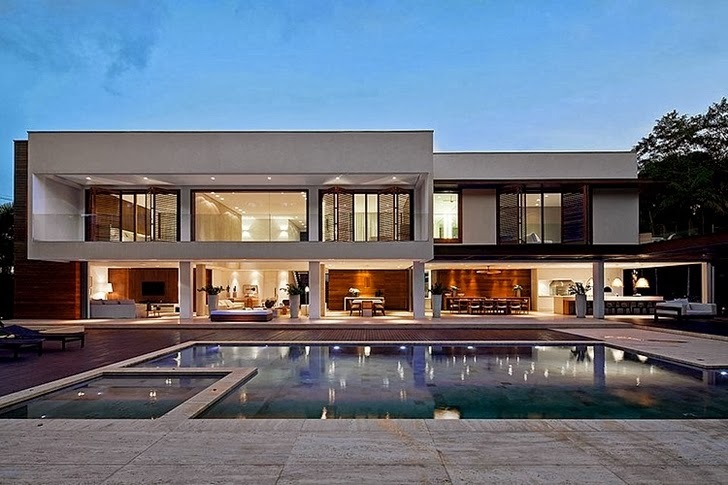 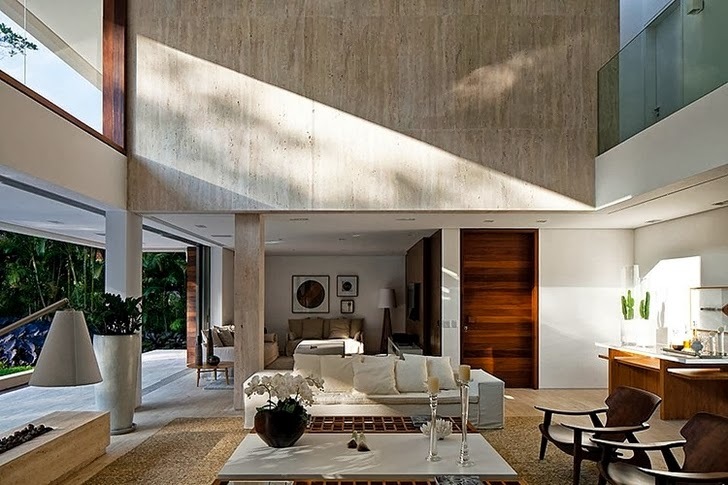 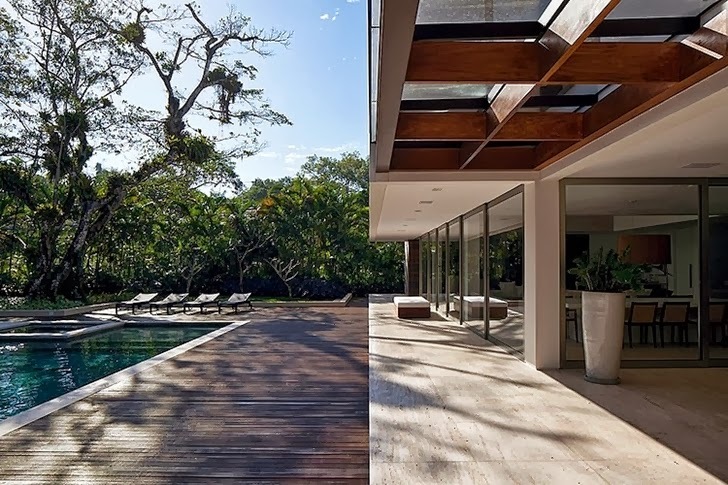 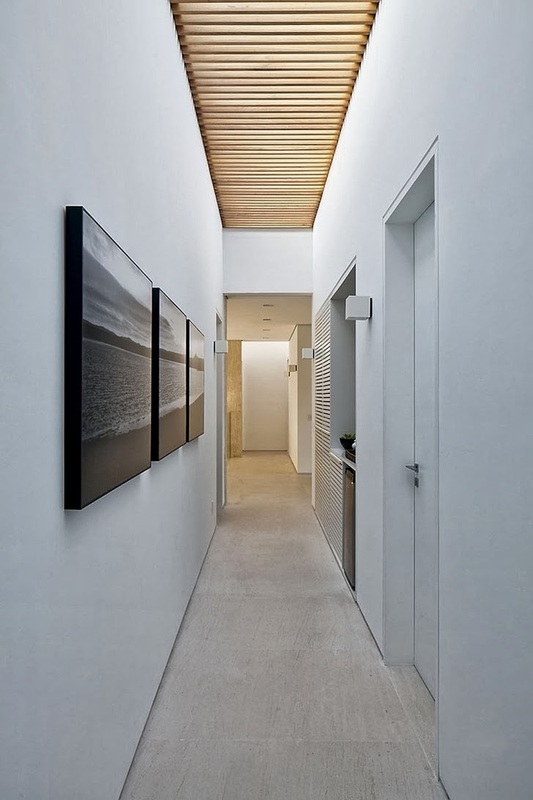 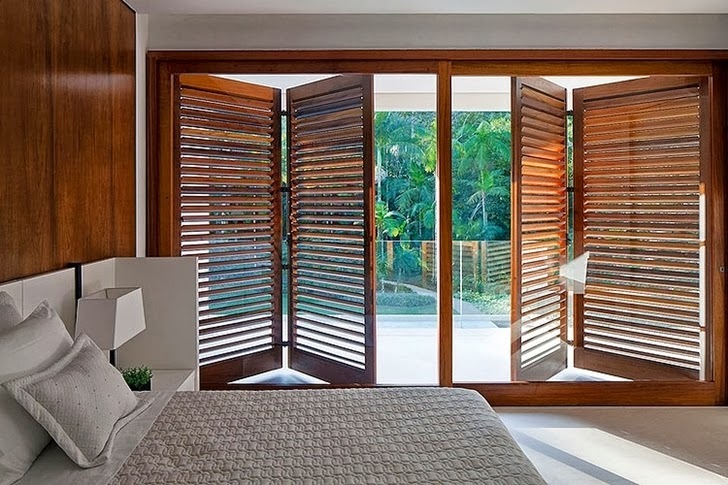 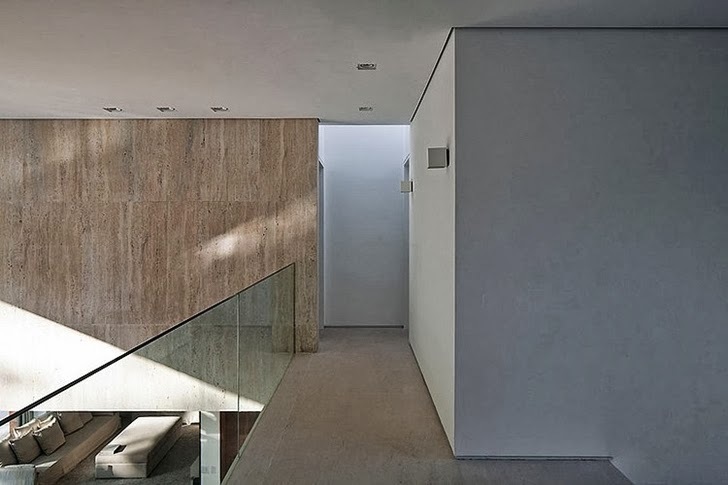 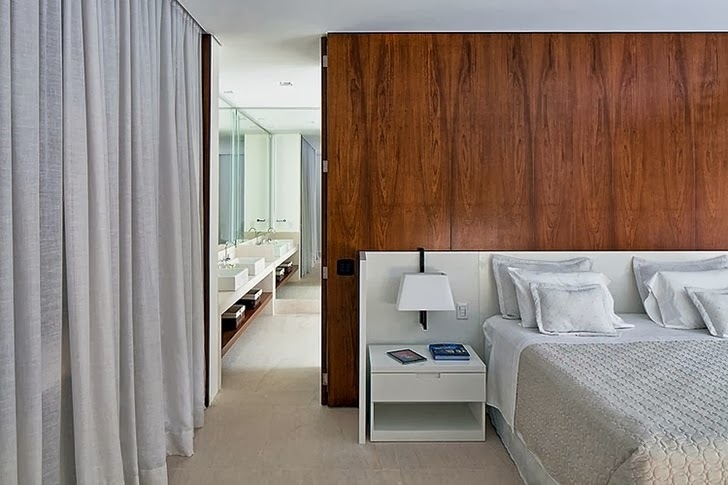 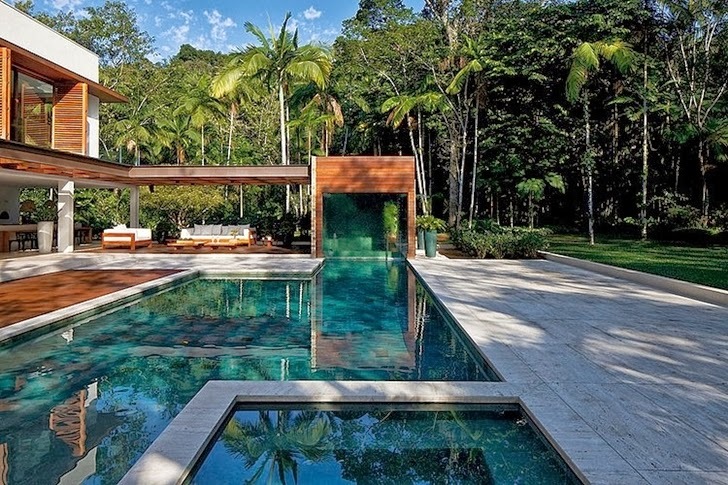 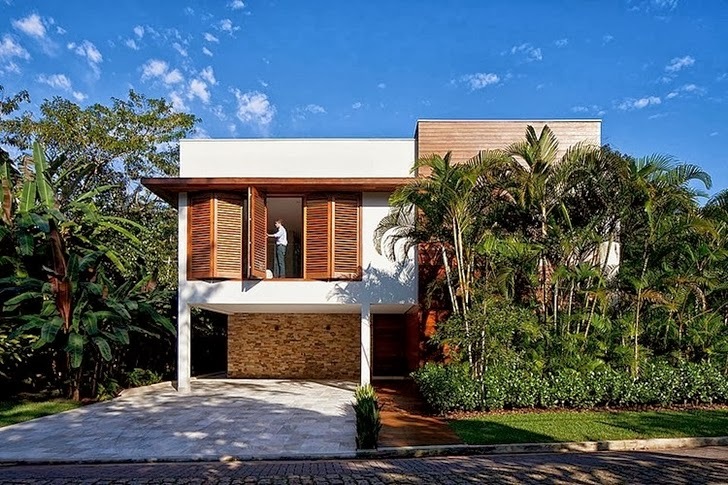 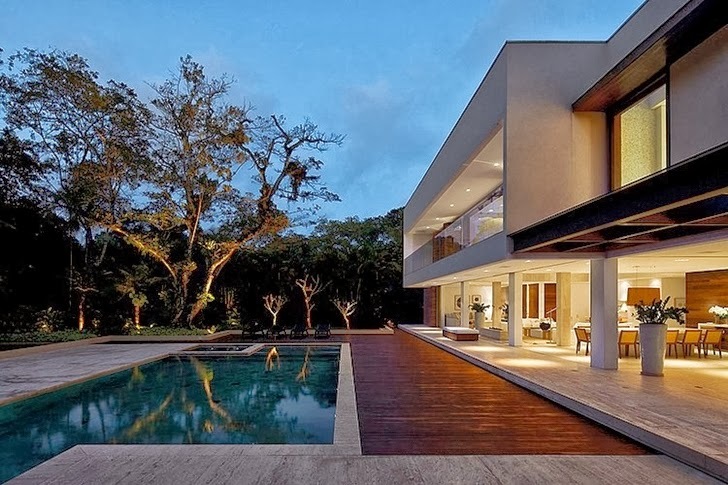 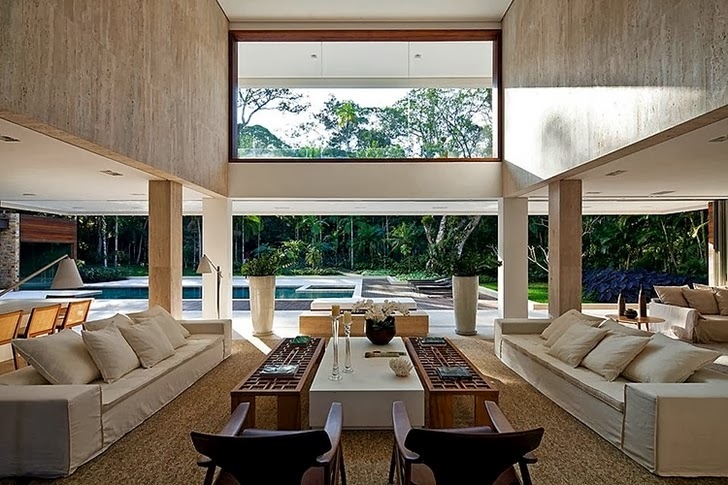 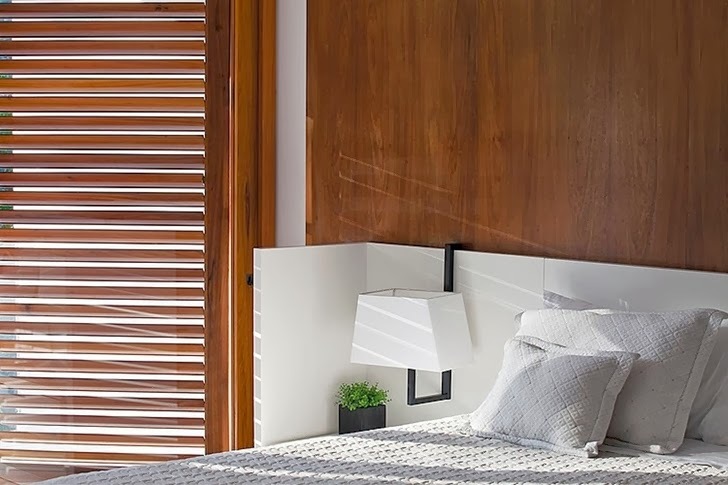 Iporanga house is contemporary style home designed by Patricia Bergantin Arquitetura in Guarujá, a municipality in the São Paulo state of Brazil. 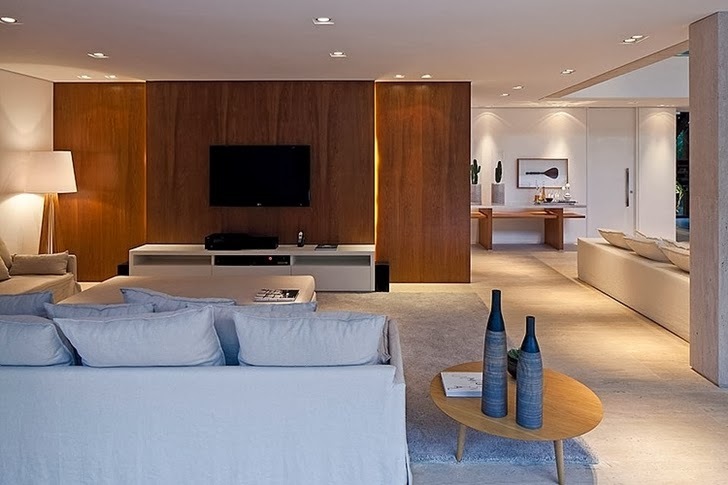 Iporanga house has open floor plan layout with double floor high ceilings in the parts like living room which brings more daylight to the ground floor and first floor. 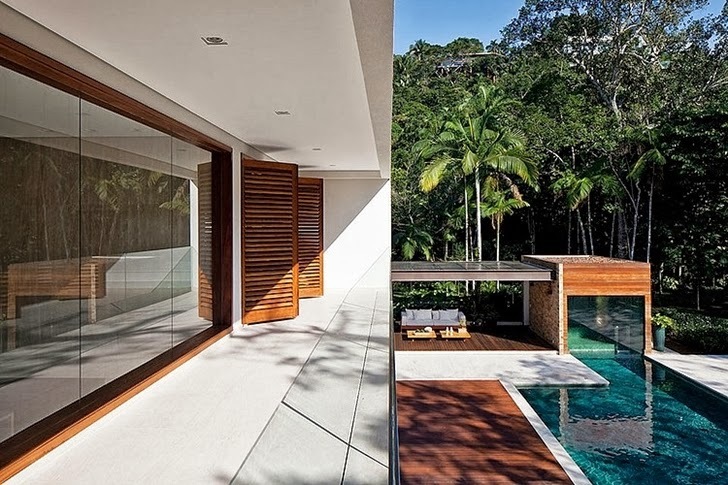 Walls are open towards the backyard with huge terrace and large swimming pool, surrounded with palm trees and other exotic vegetation. 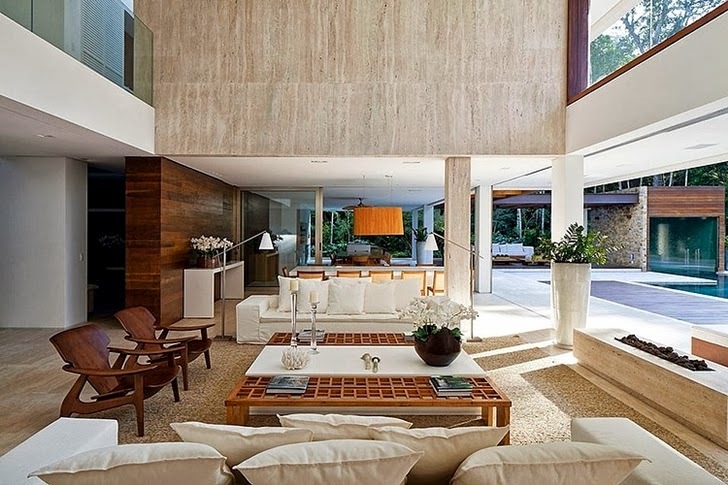 Interior design is bright with wood and stone textures, fulfilled with contemporary furniture. 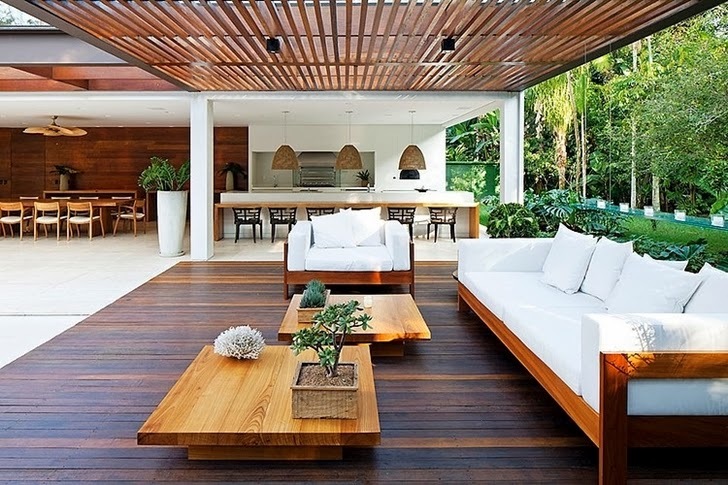 Overall decor is elegant, modern, warm and very cozy.